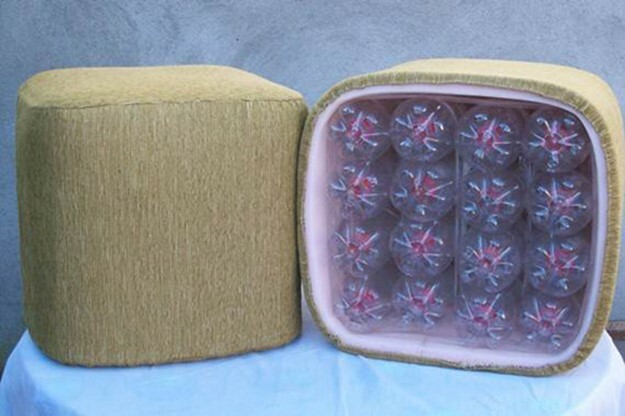 Original handmade ottoman from simple plastic bottles, decorated with beautiful material, definitely will make a bright touch in your Home Interior. 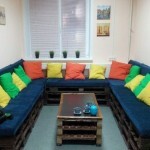 The benefits of such crafts a lot: padded stool can be used as a coffee table or as an extra seat. This forgery does not require any extra costs, as well as materials for the production of padded stools will be found in any home. Cut the top from the bottle, just above the label. A second bottle, with the pristine upper must be put in first to the bottom and secure with adhesive tape. 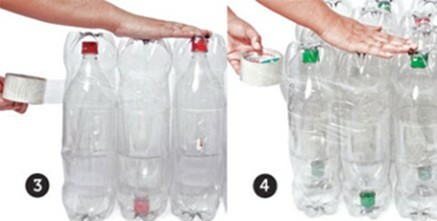 Make as many of these bottles, how much you will need to create your own padded stool. In our case we make 16 such bottles. 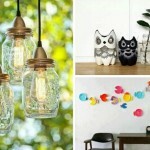 Before you merge all the pieces of duct tape, decide what form will your ottoman, round or square. The next step is to make soft seat, you can use a flat pillow, foam rubber, or polyester. 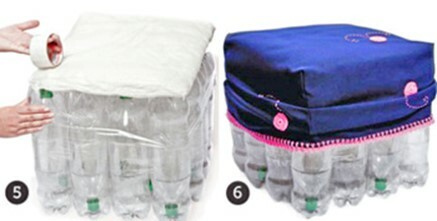 But first, the bottles must be sticking thick cardboard a suitable size, and has above duct tape fix a flat pillow. 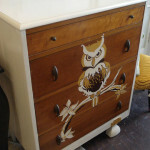 Cover for ottoman, you can sew the fabric of any color.